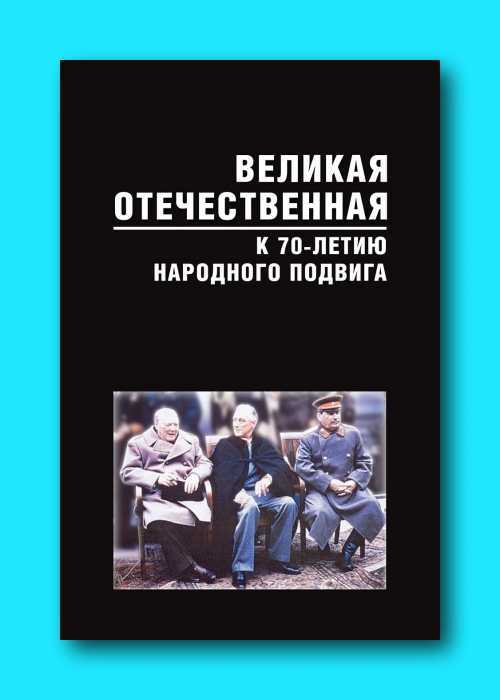 Drawing on a wide range of sources, the book analyses the main events and interpretations and debating topics of the scholarship of the Great Patriotic War, course and results of the Crimea Conference of 1945 and argues the necessity of studying key events and processes in current context. The study should be founded on facts and archival documents, as dependable scientific knowledge and collective memory of the nations is the best safeguard against attempts to revise the results of World War II. It offers a representation of the Soviet Union in the prewar and wartime в international relations, underscores the impact of situation in the lines of World War II on the running of the Crimea Conference, addresses the issue of actualization of documents of the Archival Fond of the Russian Federation pertaining to the study of World War II with reference to strategic options of leaders of the Anti-Hitler coalition in the course of the Crimea Conference.